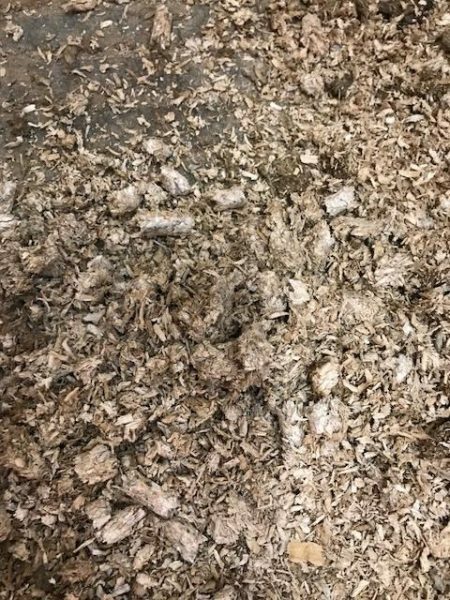 I have never liked bedding my trailer with wood shavings. They blow all around in whatever trailer I have used them in. It doesn’t seem to matter how big the size of the actual flakes are. I worried about the shavings blowing around in their eyes and nose and being breathed in by my horses. Having the occasional respiratory sensitive horse, I was on the look out for a better option. 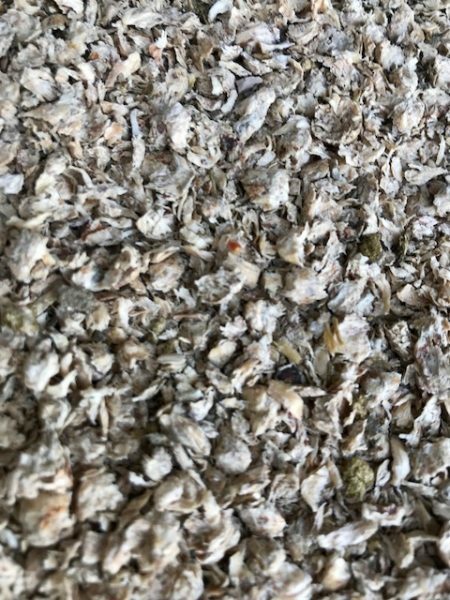 A friend and owner of Thars’ Feeds, Jessica Goven, directed me to a dehydrated wood pellet. The bags weigh about 20 lbs and they are dust free! 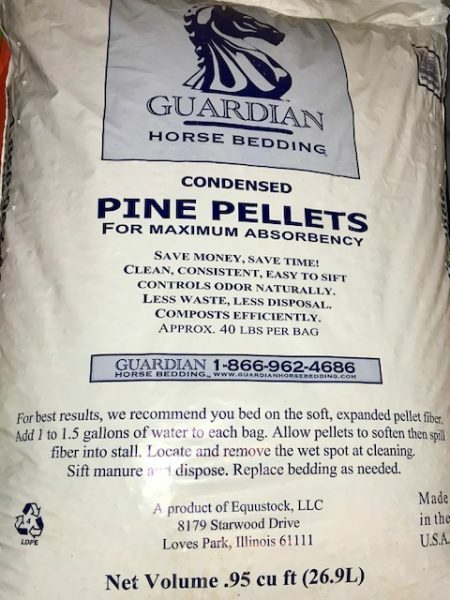 As the pellets get wet, they dissolve and increase in size, making a soft bed for my horses and remaining dust and odor free. Wood pellets are also very easy to clean. The wet and dirty pellets just scoop up while the clean pellets just fall through the pitch fork. I use way less of the pellets than I ever did with the traditional shavings. These bags of pellets are also great in the barn. 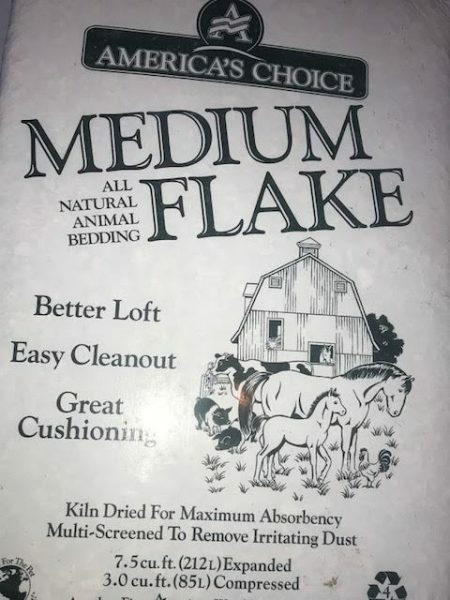 We sprinkle them in puddles of urine, a water or even diesel spill and of course they make a good choice in stall bedding, as they are very soft and make a great cushion. I follow the directions and water them down for bedding, but in the trailer I just put them in dry, which makes scooping out the urine soaked pellets easy. Give them a try, I think you’ll like them.